The CFP was open until October 15th, 2017. The field of Atlantic History still suffers from notable blind spots. While the western and northern European “seaborne empires” have been thoroughly investigated as the initiators and the driving force behind European expansion, the “peripheries” of the Atlantic world remain poorly researched and inadequately integrated into this narrative. This has led to a lopsided view of the early modern world and indeed, of the development of modernity. Amongst other things, the dominant historiographical narrative reinforces ideas of western “development” and eastern “backwardness”. At this conference, we will approach the Atlantic World from its presumed “peripheries,” in order to challenge this view. 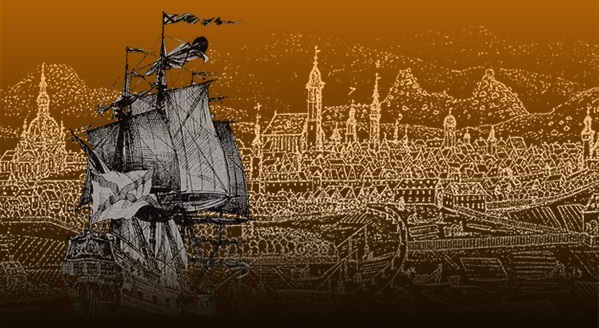 The conference marks the end of a research project entitled “The Globalized Periphery: Atlantic Commerce, Socioeconomic and Cultural Change in Central Europe (1680-1850)” funded by the German Research Foundation (DFG) from January 2015 to December 2018. It will take place in Frankfurt (Oder), on the German-Polish border, reinforcing one of the leading ideas of the European University Viadrina and of the research project: bridging the East-West divide within Europe. The conference is not, however, restricted to a Central and Eastern European perspective, but invites proposals concerned with any and all perceived or actual peripheries of the early modern world economy. To find out more, read our CFP. The CFP was open until October 15th, 2017. The conference is open to all. For organizational reasons, please contact us beforehand and let us know that you wish to participate. Please, klick on the photo to view the picture gallery. Please, note that the conference program and the schedule are subject to change and will be updated continuously in the run up to the conference.